Formerly Director of the RHS Garden Wisley and then appointed as the first Director General of the Royal Horticultural Society, Chris is an eminent plantsman who has also travelled widely to study plants in their native habitats. He has been a UK Council member and President of the International Society for Horticultural Science and has also chaired the International Commission for the Nomenclature of Cultivated Plants for many years. He has published many botanical and horticultural papers and articles including accounts of some genera in The European Garden Flora, Flora Europaea and the Flora of Turkey and also co-authored The Vanishing Garden and The Genus Daphne. 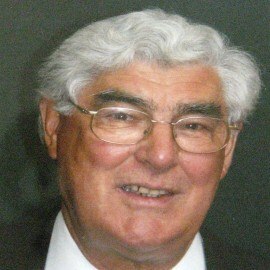 In 1976 he was awarded the RHS Victoria Medal of Honour and in 1991 was awarded the CBE for services to horticulture. 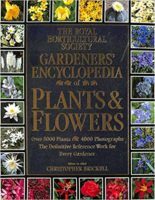 In 1990 Dorling Kindersley published the best-selling Gardeners Encyclopedia of Plants and Flowers (over a million copies in the UK) which he edited. 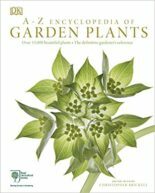 This was followed by the RHS Encyclopedia of Gardening and the RHS A-Z Encyclopedia of Garden Plants which he is currently updating.